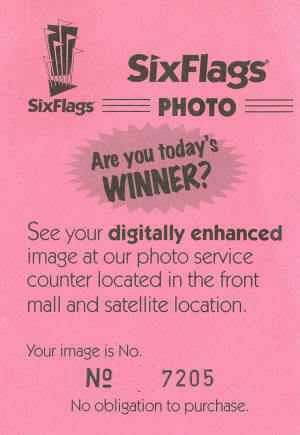 Commemorative photos of a trip to the park have always been an important souvenir. 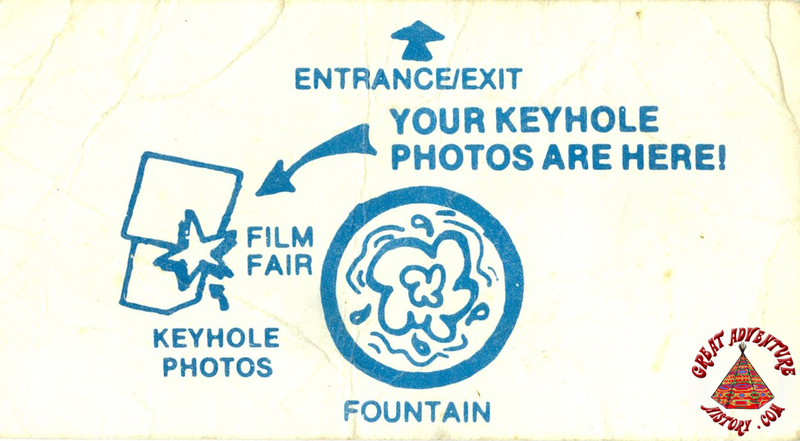 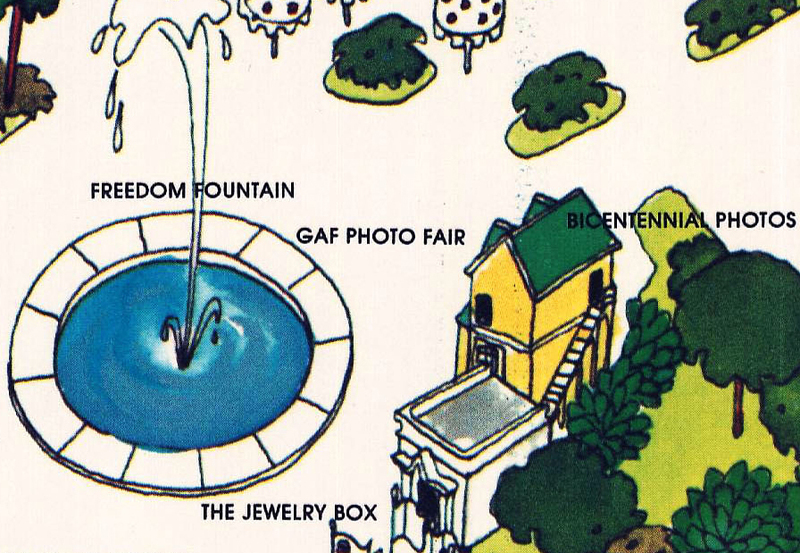 With the advances in technology over time, theme parks have introduced many forms of photo souvenirs with one of the most memorable versions being the "keyhole photo". 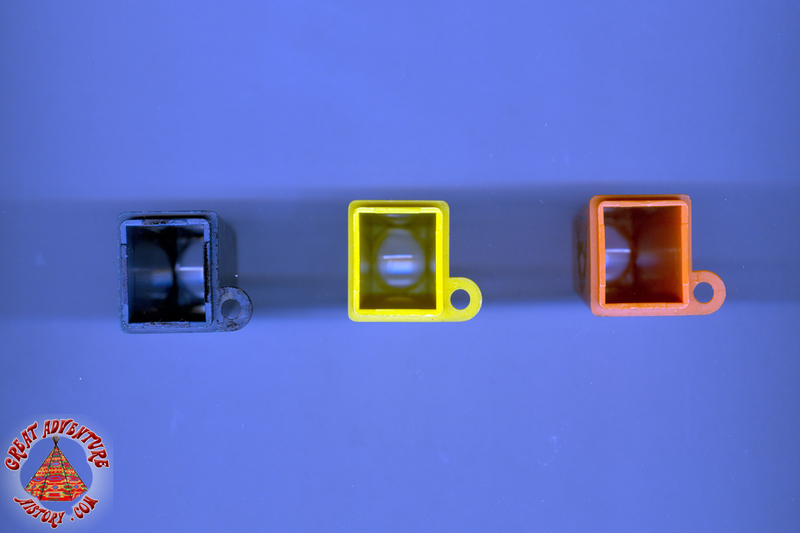 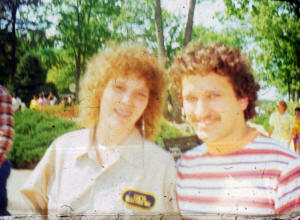 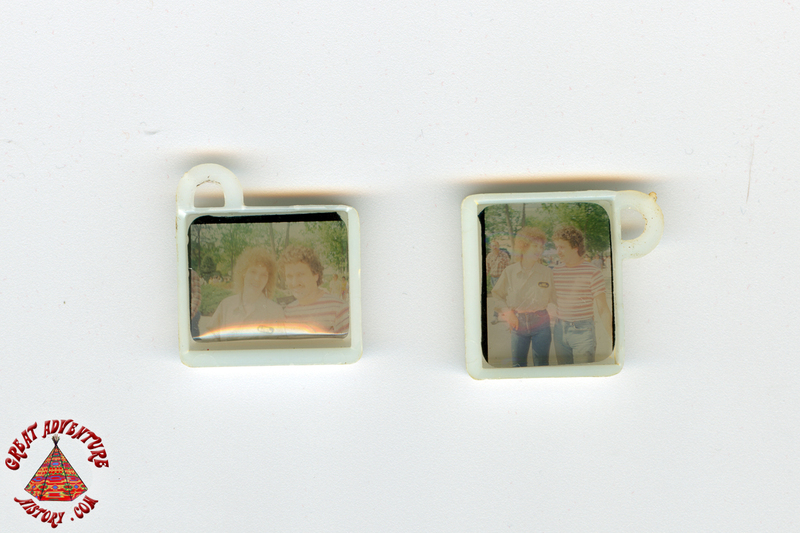 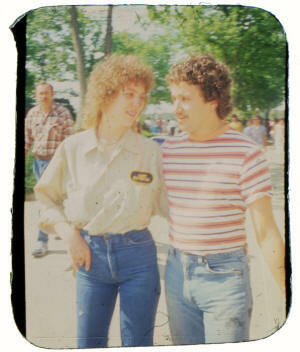 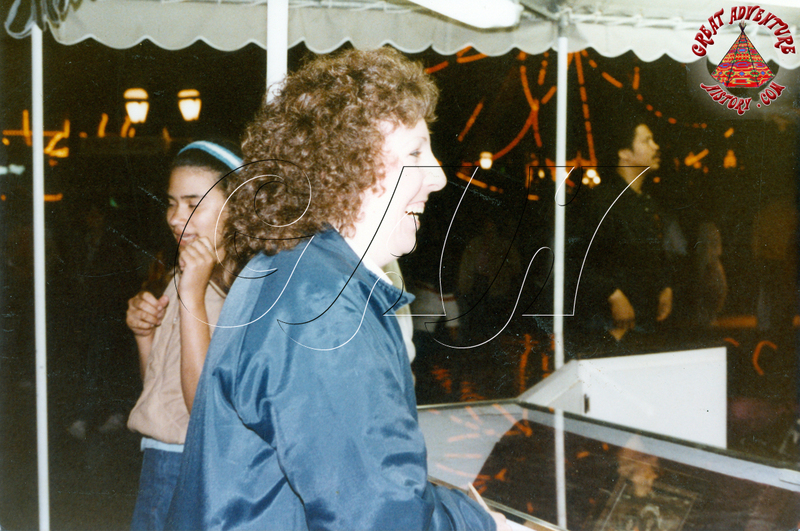 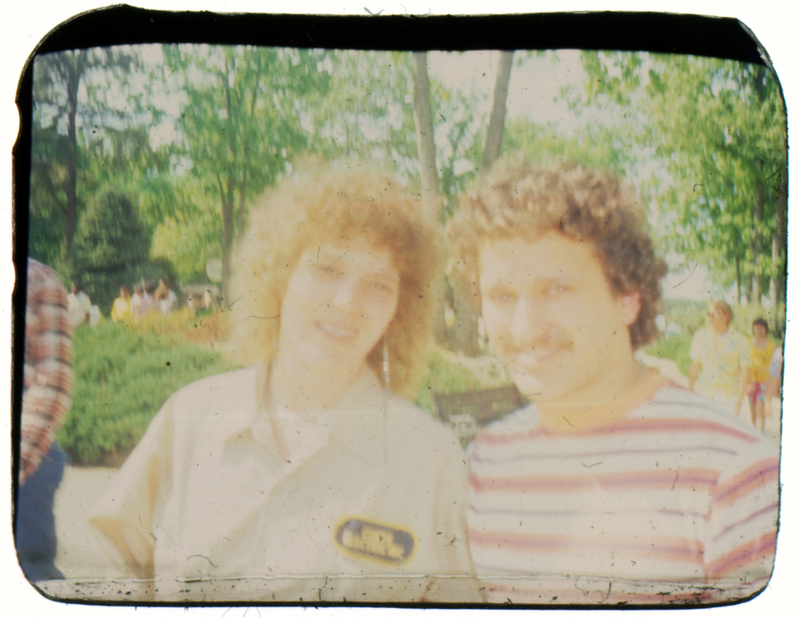 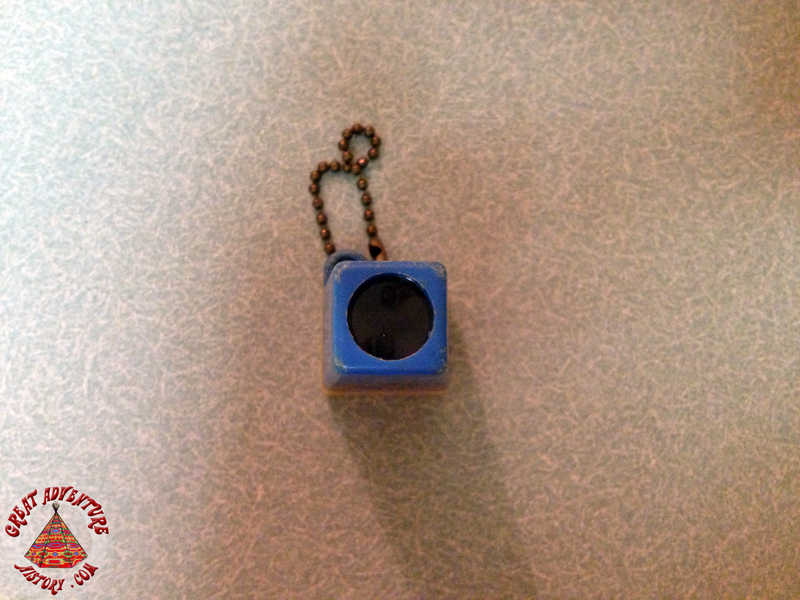 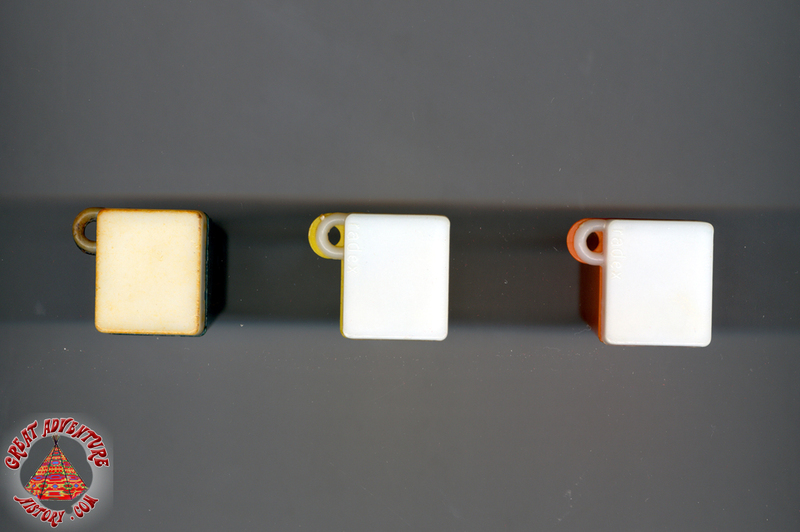 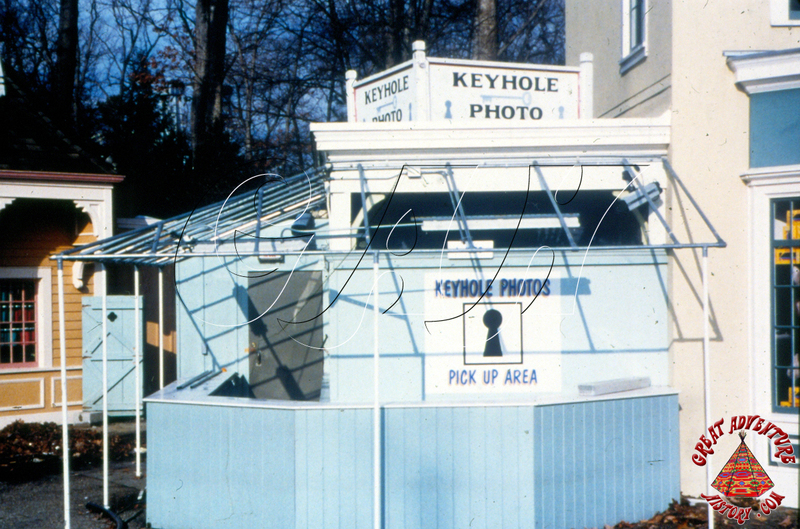 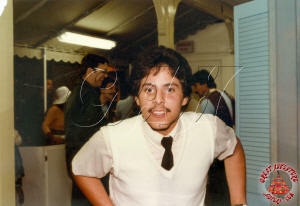 Introduced for the 1976 season, Keyhole Photos were a new advance in technology which created small image slides which were then developed in the park and mounted into small plastic viewers. 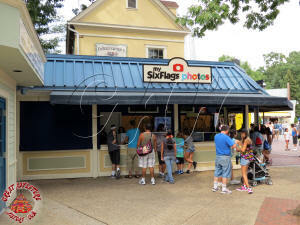 Guests could then come back later in the day to view their photos and purchase them if they wished. 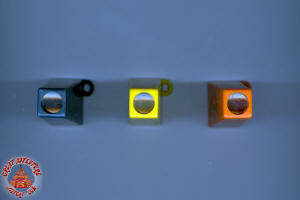 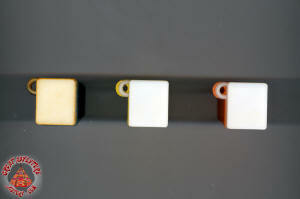 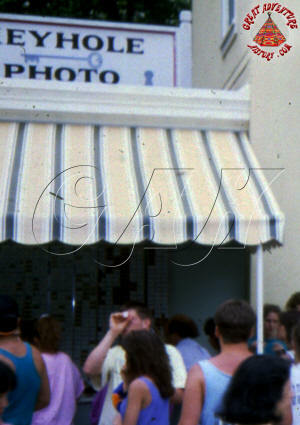 The cost of the film and developing was apparently insignificant enough that unpurchased slides were discarded at the end of each day and the viewers reused another day. 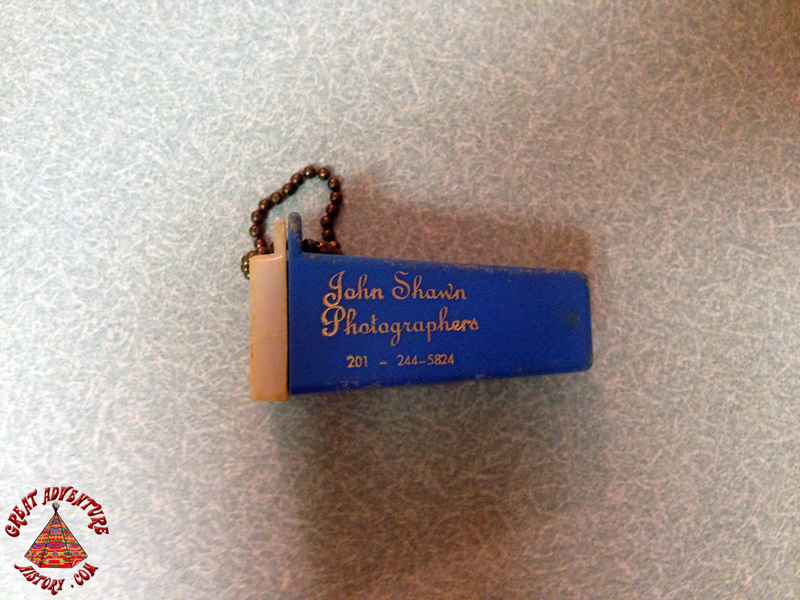 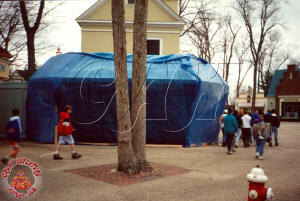 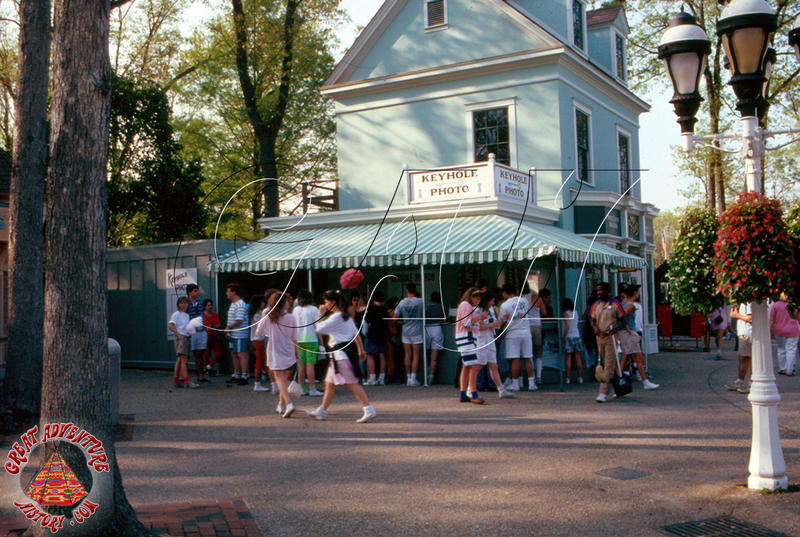 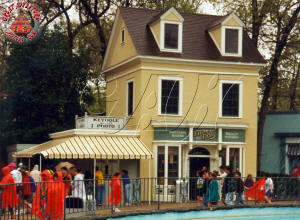 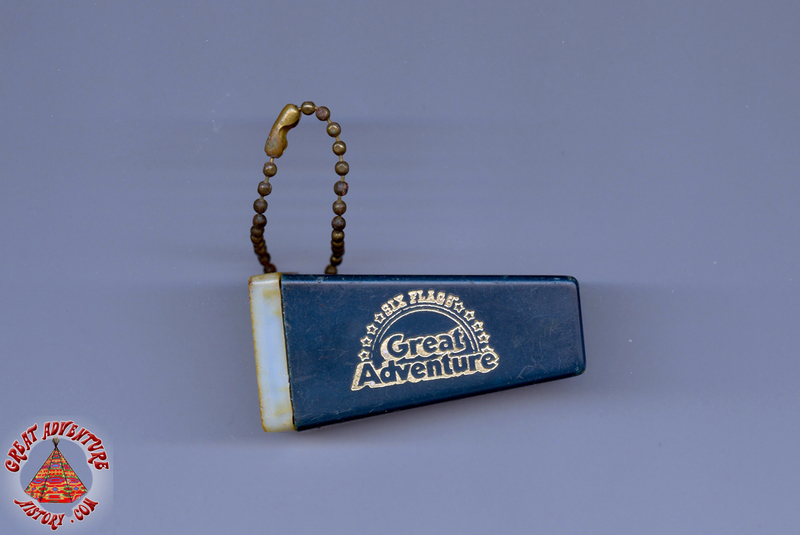 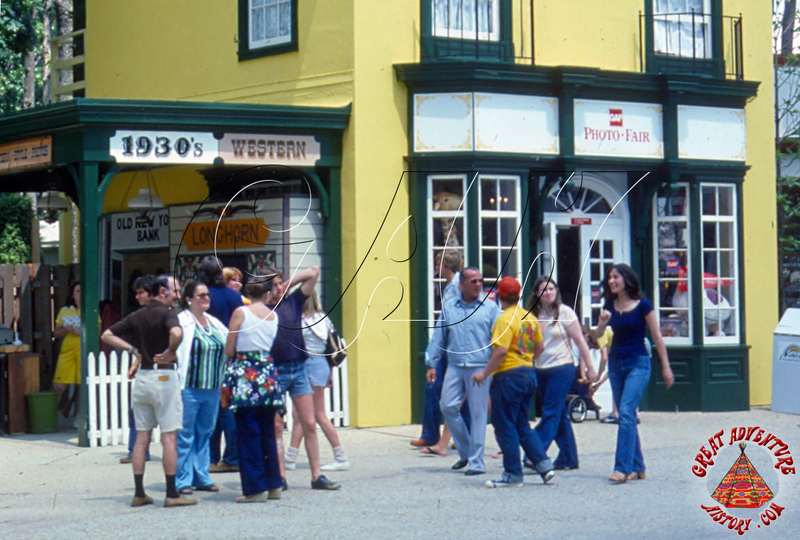 The stand was attached to the side of the Photo Fair building which served as Great Adventure's main camera shop. 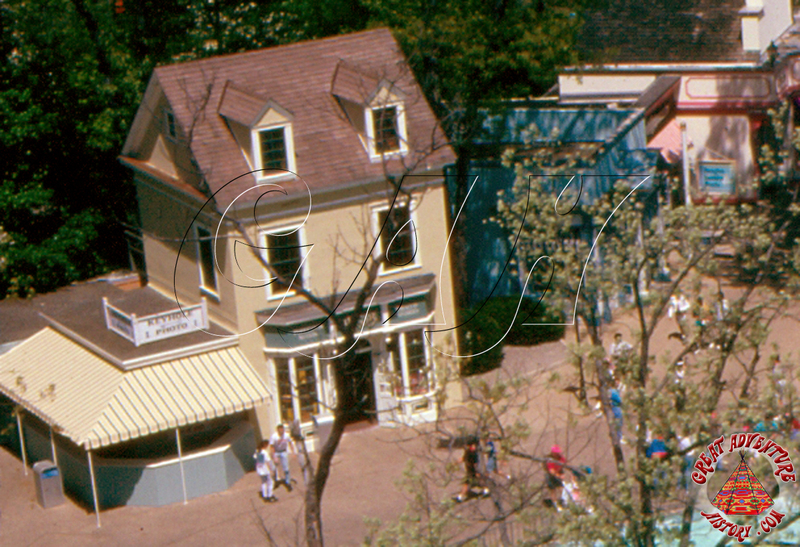 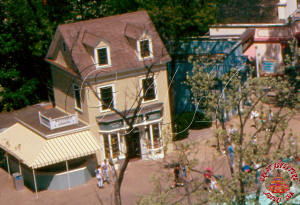 At the time camera shops were an important part of any theme park, serving the needs of guests who forgot their cameras or film for their day at the park. 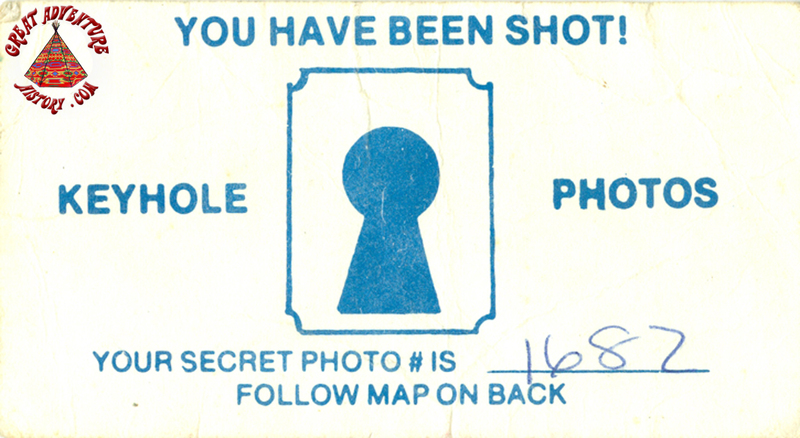 The photographers for Keyhole Photos were ubiquitous in inner and outer mall areas, asking entering guests to pose for photos and as always explaining there was "no obligation" to purchase them. 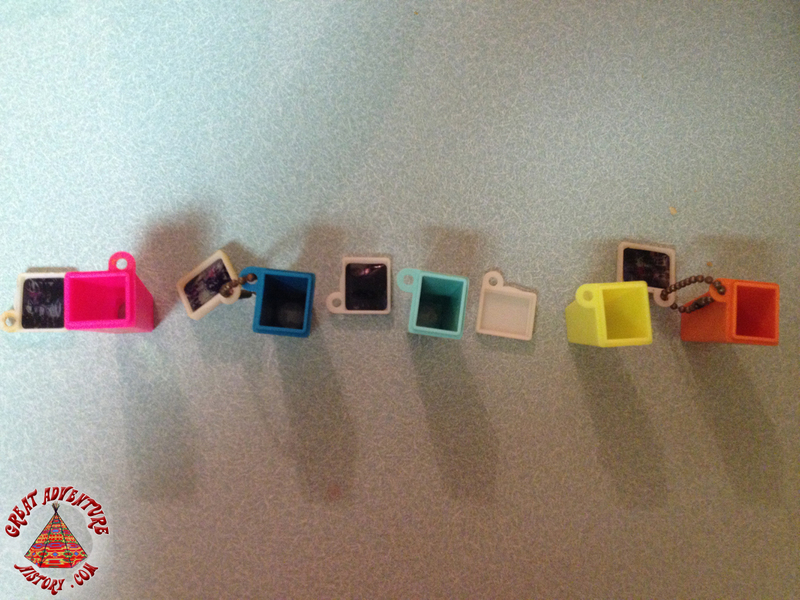 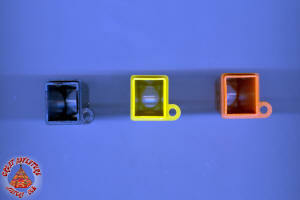 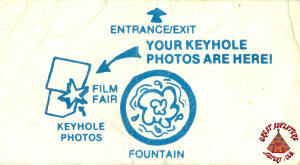 The advances in photo printing technology meant that the keyhole photos went away replaced by real photo prints. 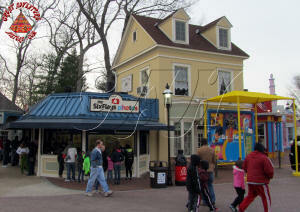 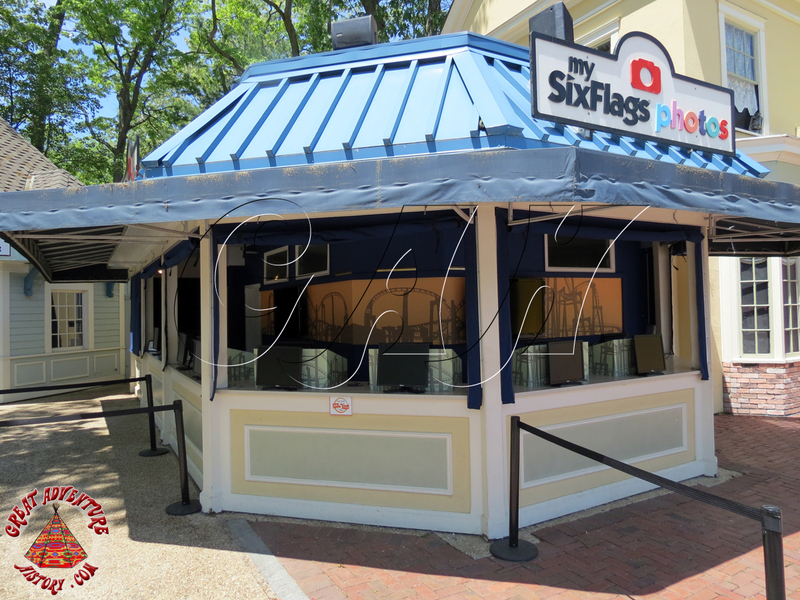 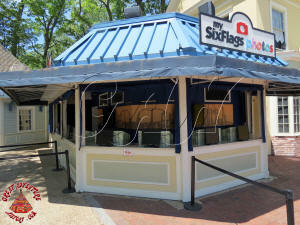 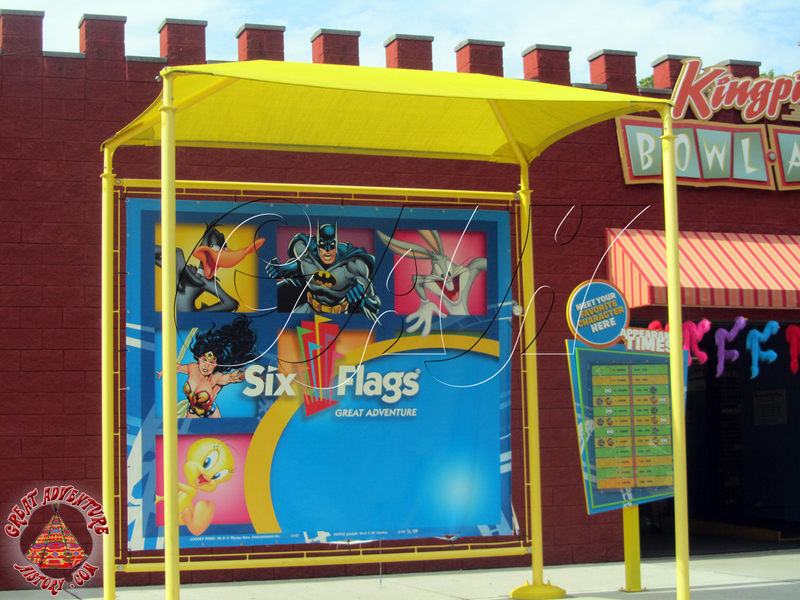 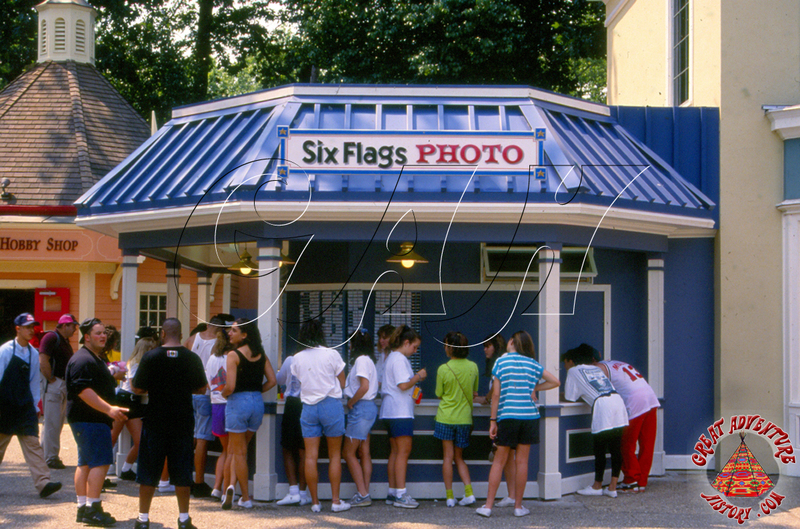 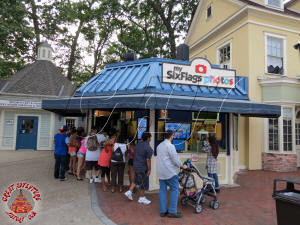 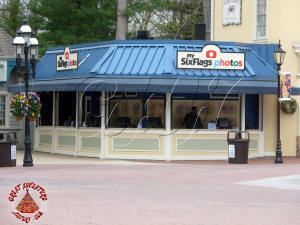 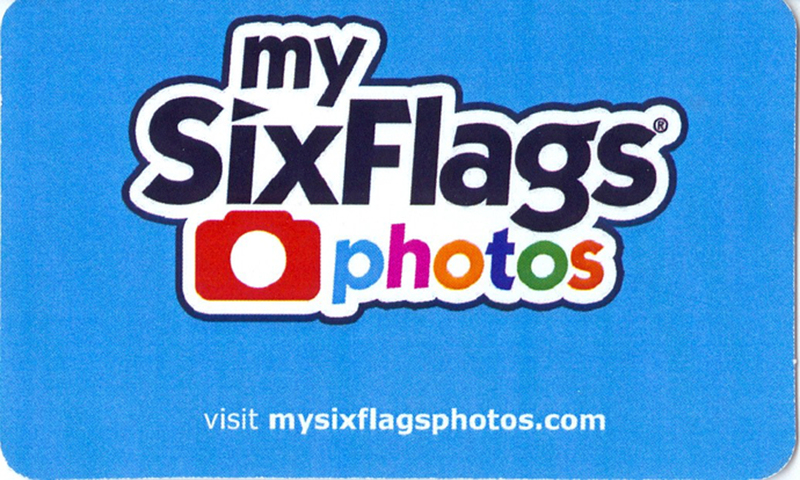 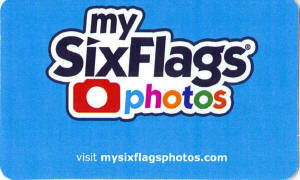 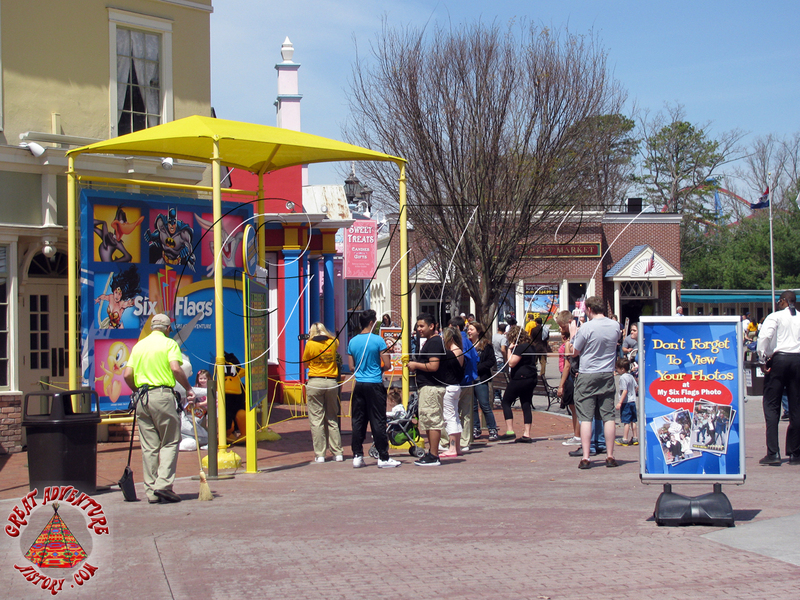 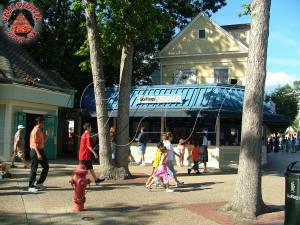 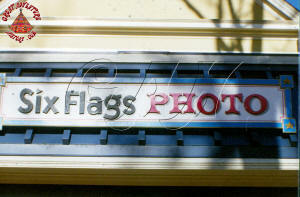 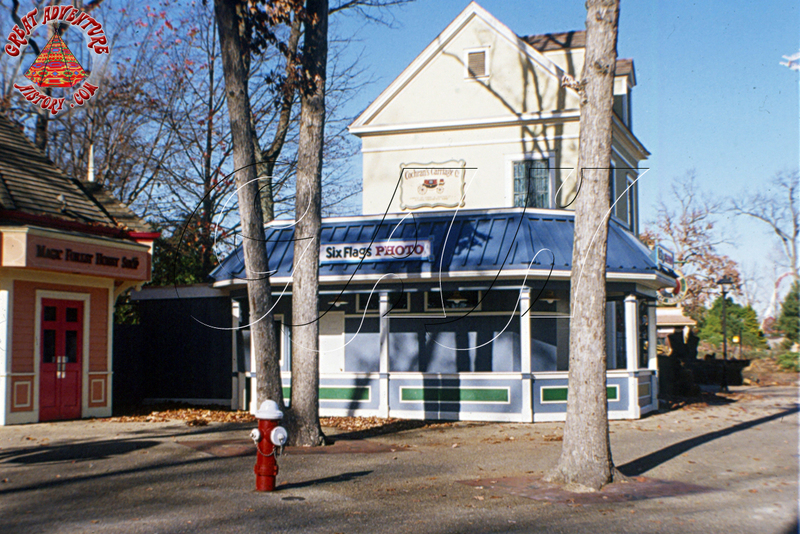 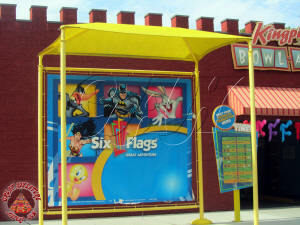 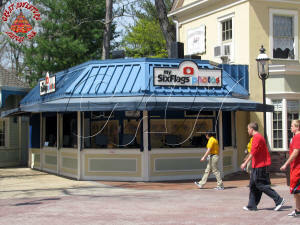 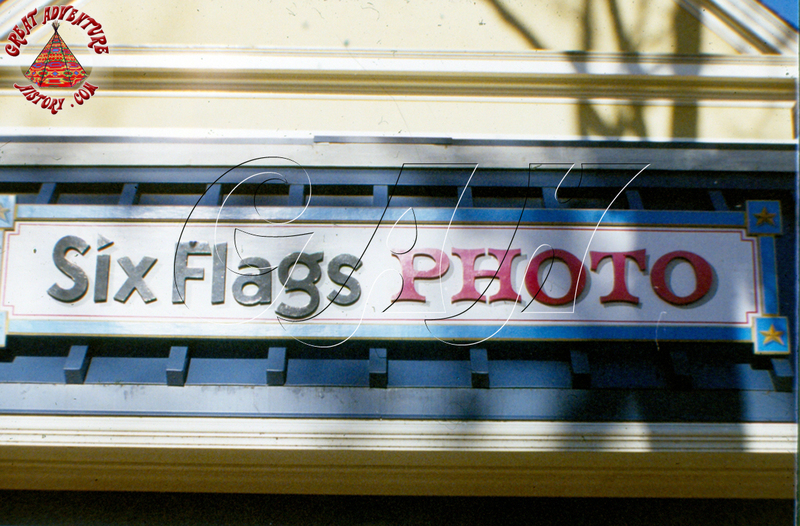 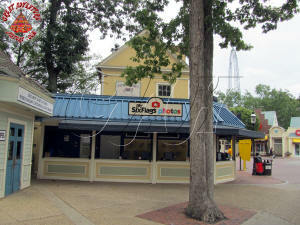 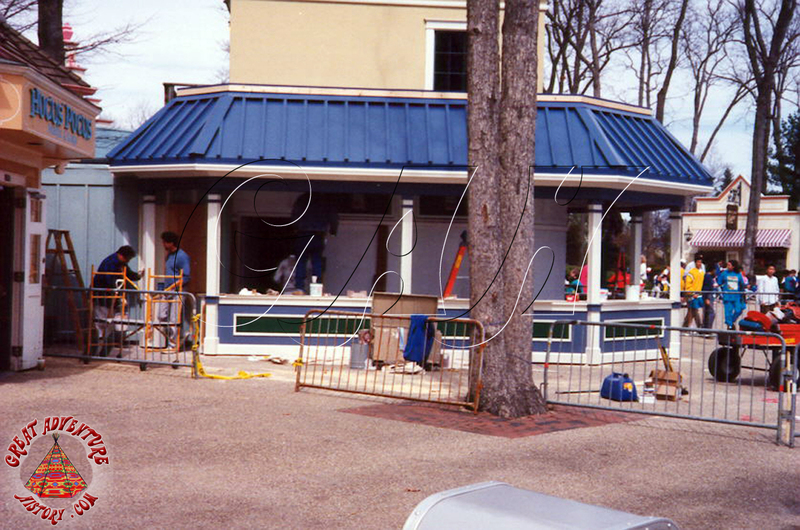 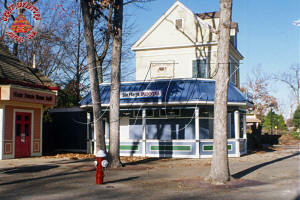 The photo stand was renamed Six Flags Photo to reflect the change in format. Advances in digital photography changed theme park photos completely, creating more opportunities for more formats of prints and products. 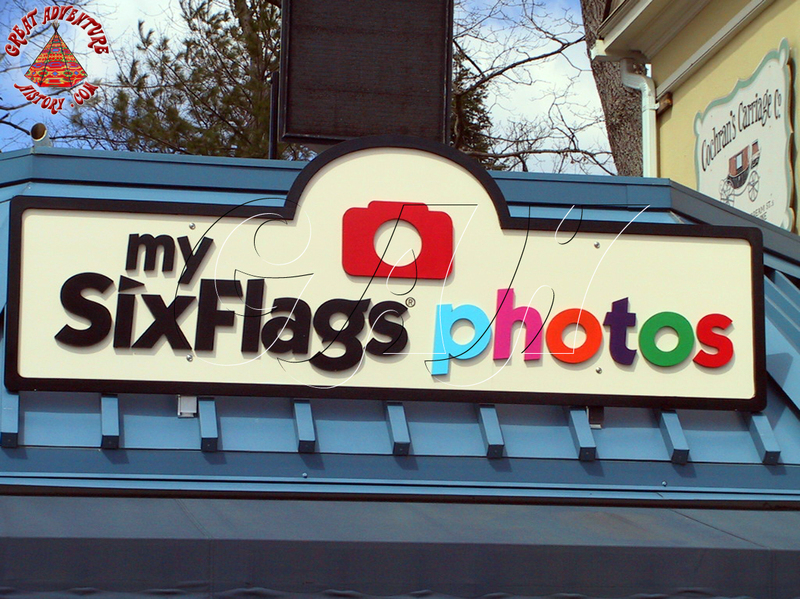 At the same time, the increase in number of consumer digital cameras along with the rise of cell phone cameras meant that fewer guests bought standard photos so they were looking for something new. 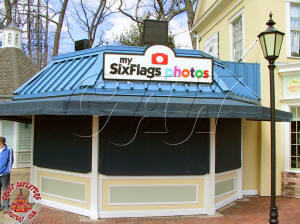 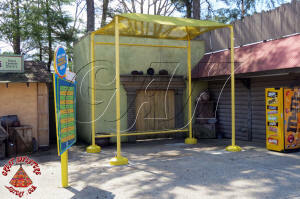 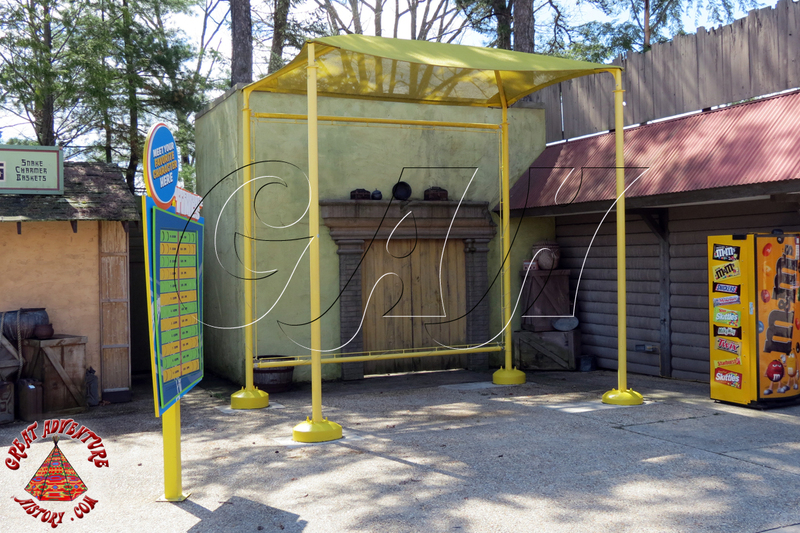 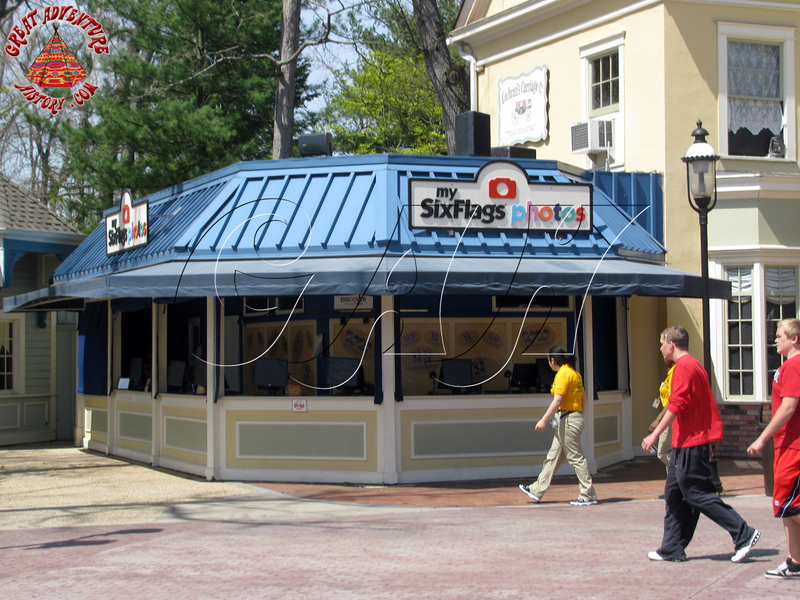 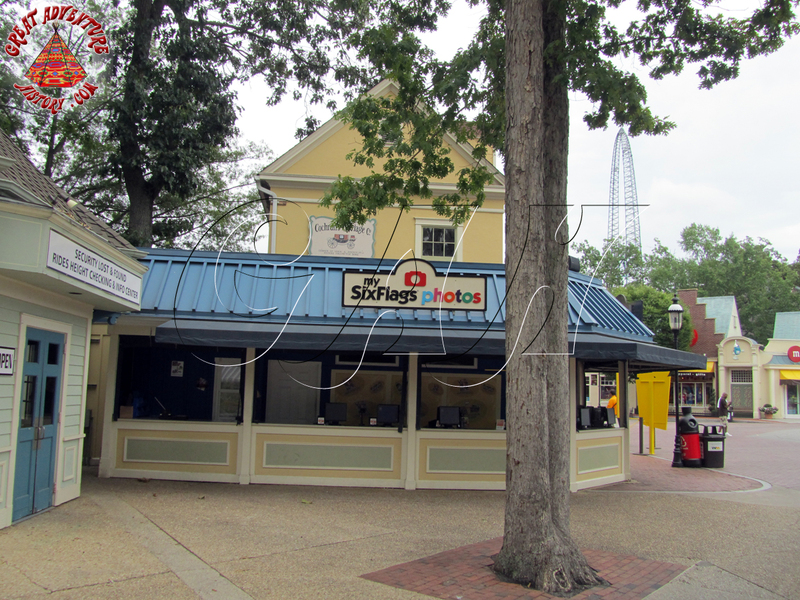 For the 2007 season Six Flags Photos was rebranded as part of a corporation wide upgrade to the program and offerings trying to make it more relevant and profitable, becoming "My Six Flags Photos". 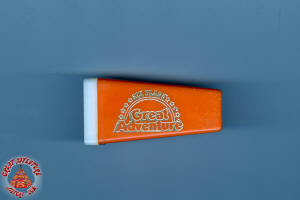 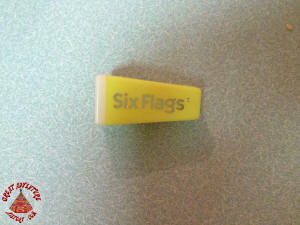 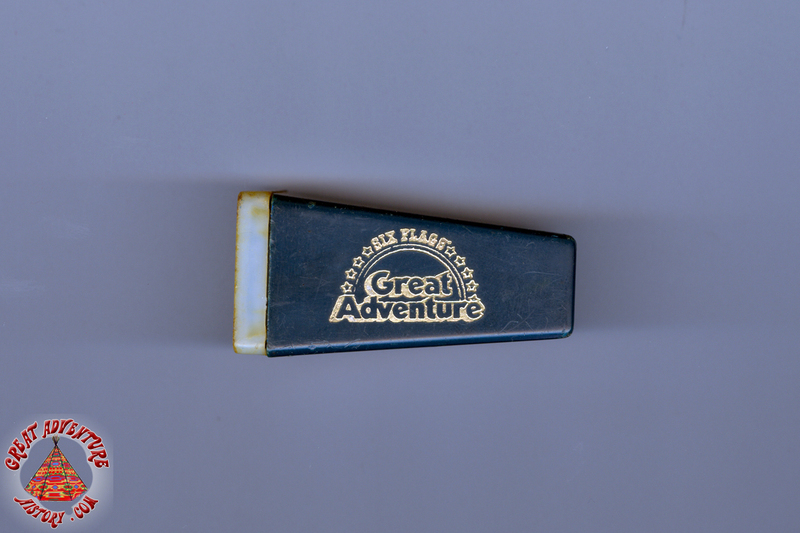 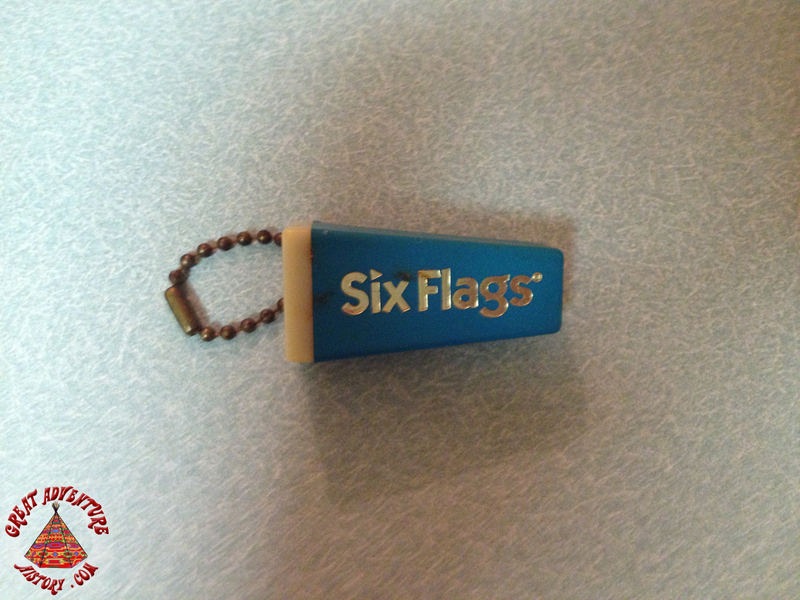 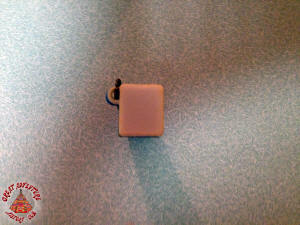 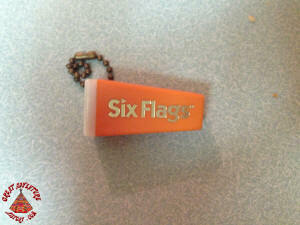 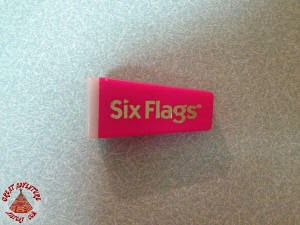 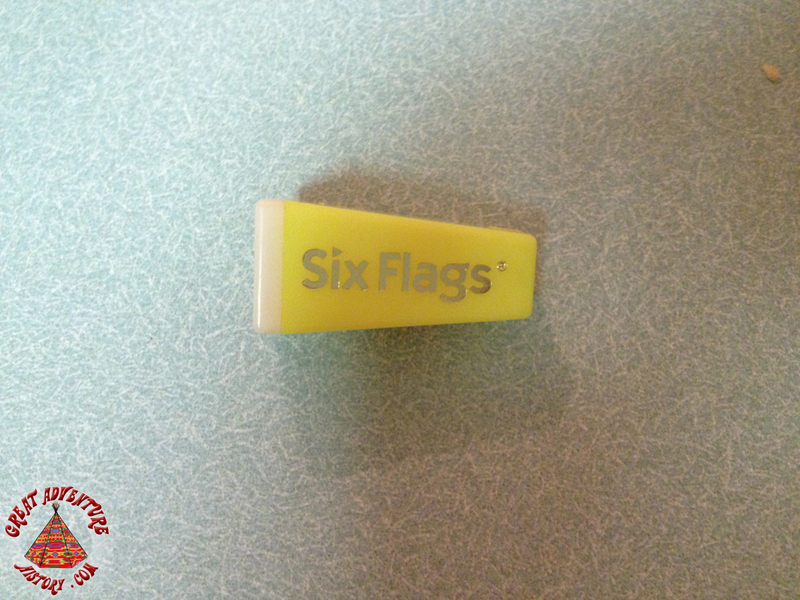 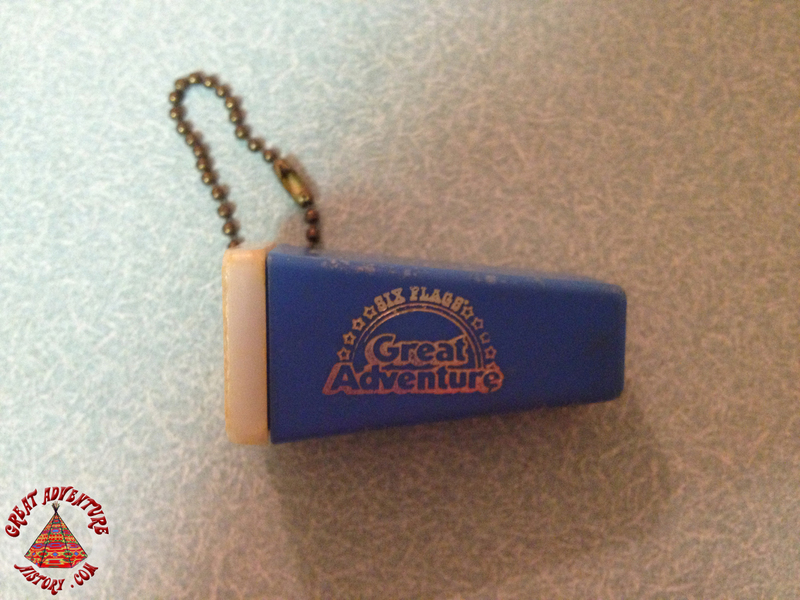 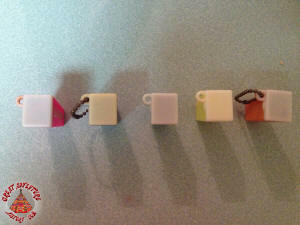 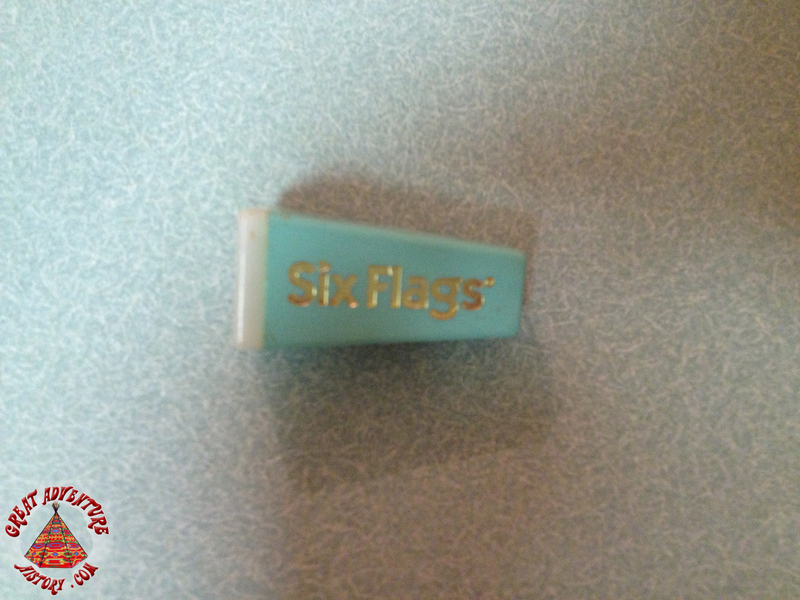 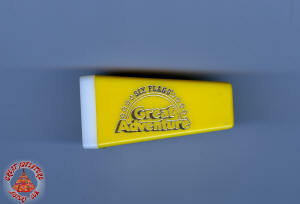 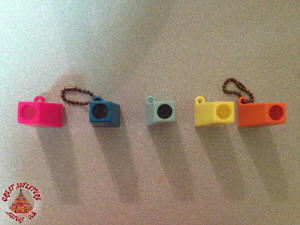 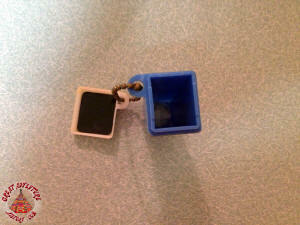 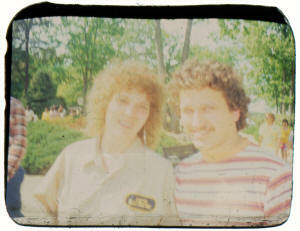 The new offerings included online downloads and thumb drives with the digital photos from a family's day at Six Flags. 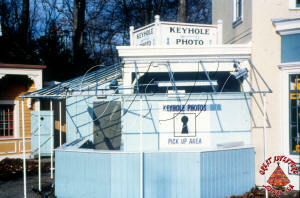 These are a couple of examples of Keyhole Photo viewers and the typical photos that used to be taken in the park. 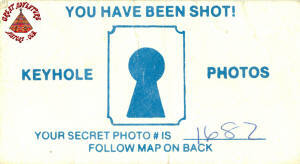 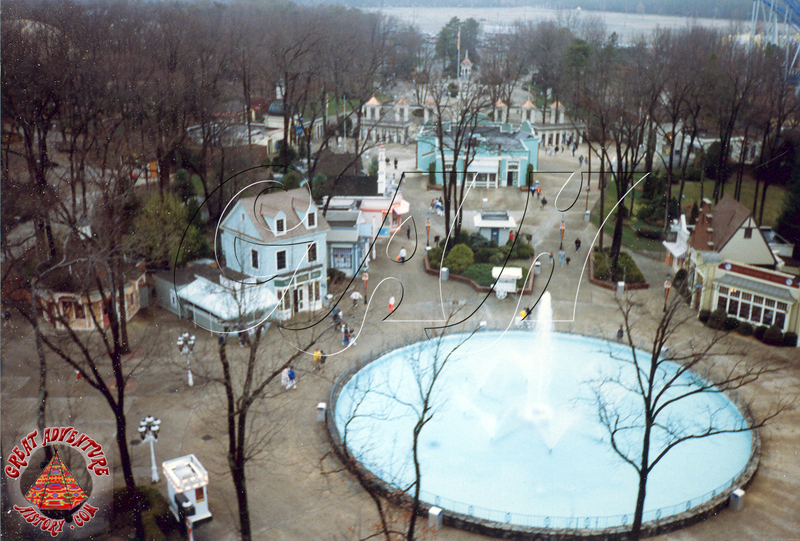 These same kind of keyhole photos were available at theme parks throughout the country, with each park imprinting its own logo onto the viewer. 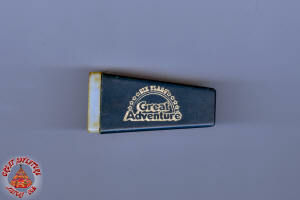 Thanks to our GAH Member gasmspiritblue for the images below.